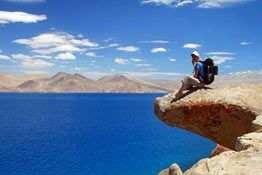 Ladakh never fails to amuse adventure enthusiasts; be it for trekking or Safari. Lined up in the row is Mountain Biking in Ladakh. 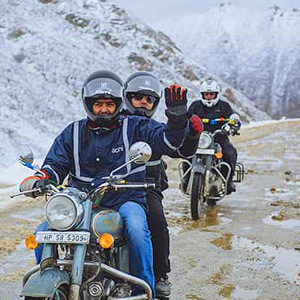 Numerous Biking fanatics love to ride on the rugged terrains, passing by the dusty roads and unveiling the mysteries that lie behind the sharp twists and turns. 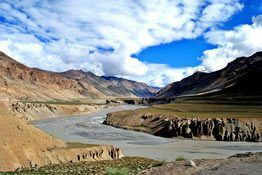 Cycling in Ladakh takes the biker to the numerous unreachable areas that are quite off-track because of their high altitude. The cycling tour to these untouched places makes the expedition more interesting and enthralling. Hit the roads to one of the highest motorable road in the world – Khardung La. Pedal the cycle to various famous monasteries of Ladakh for complete spiritual enlightenment. The physically demanding and arduous activity sometimes prove to be pretty challenging even for the fittest adventurer. On one hand, the roads are tricky enough to make one’s wheel skid. On the other hand, the tracks are friendly as well to offer outstanding views. Unravel memorable moments filled with a mix of bleary eyes, heavy breath, wildlife and scenic beauty. 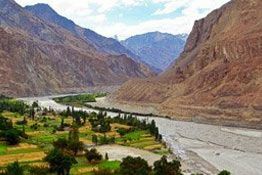 Explore the moonland like plateaus by following the popular routes for Cycling in Ladakh. Following are the famous trails to be followed by the cyclers to make their trip a lifetime sojourn. The 64 km road from Leh to Alchi is full of hairpin turns which add to the fun quotient. In spite of the Zig-Zag roads, the trail is a safe route for cycling tour in Ladakh. The placid terrain comes as a relief and there are many attractions en route which are mentioned below. 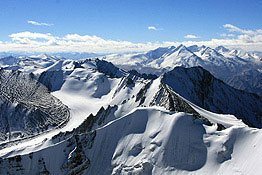 The distance between Leh to Hemis is of 39.9 km. Cycling in Ladakh is the best way to travel from Leh towards Hemis. Following attractions make the journey even more beautiful. 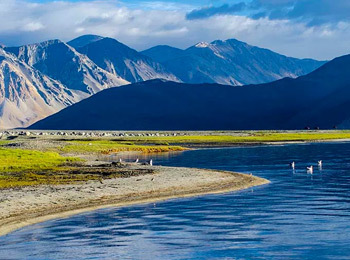 Months of mid-June to end of September are the best time to plan a Cycling tour to Ladakh. Since, the road are not covered with snow and the passes remain open during this time.